Progress on the phylogeny of the Omphalotaceae: Gymnopus s. str., Marasmiellus s. str., Paragymnopus gen. nov. and Pusillomyces gen. nov.
Omphalotaceae is the family of widely distributed and morphologically diverse marasmioid and gymnopoid agaric genera. Phylogenetic studies have included the family in Agaricales, grouping many traditionally and recently described genera of saprotrophic or parasitic mushroom-producing fungi. However, some genera in Omphalotaceae have not reached a stable concept that reflects monophyletic groups with identifiable morphological circumscription. This is the case of Gymnopus and Marasmiellus, which have been the target of two opposing views: (1) a more inclusive Gymnopus encompassing Marasmiellus, or (2) a more restricted Gymnopus (s. str.) while Marasmiellus remains a distict genus; both genera still await a more conclusive phylogenetic hypothesis coupled with morphological recognition. Furthermore, some new genera or undefined clades need more study. In the present paper, a phylogenetic study was conducted based on nrITS and nrLSU in single and multilocus analyses including members of the Omphalotaceae, more specifically of the genera belonging to the /letinuloid clade. The resulting trees support the view of a more restricted Gymnopus and a distinct Marasmiellus based on monophyletic and strongly supported clades on which their morphological circumscriptions and taxonomic treatments are proposed herein. 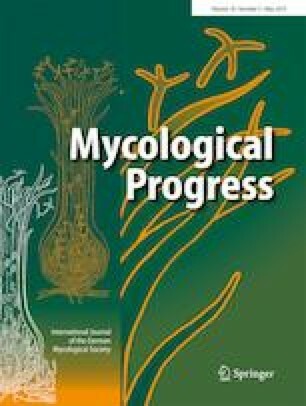 The results also provide evidence for the description of two new genera: Paragymnopus and Pusillomyces. Pusillomyces manuripioides sp. nov. (type species of the genus) is described with morphological description, taxonomic and ecological remarks, and illustrations. The online version of this article ( https://doi.org/10.1007/s11557-019-01483-5) contains supplementary material, which is available to authorized users. The authors thank the INPA Herbarium for contributing to this publication, R.H.S.F. Cruz for doing the illustrations, Dr. Tarciso de Sousa Filgueiras for reviewing the names in Latin, Dr. Genevieve Gates (Honorary Associate in Mycology and Forest Ecology, Tasmanian Institute of Agriculture) for reviewing the English writing and the anonymous reviewers for relevant contribution to this paper. The authors also thank the financial and logistical support from the Fundação de Amparo à Pesquisa do Estado do Amazonas – FAPEAM, the Centro de Estudos Integrados da Biodiversidade Amazônica (INCT-CENBAM), the Conselho Nacional de Desenvolvimento Científico e Tecnológico (CNPq), the Biodiversity Research Program (PPBio), and the Japan Science and Technology Agency /Japan International Cooperation Agency - Science and Technology Research Partnership for Sustainable Development (JST/JICA-SATREPS). Study registered in SISGen (Sistema Nacional de Gestão do Patrimônio Genético e do Conhecimento Tradicional Associado) number A44535D. This study was supported by “Coordenação de Aperfeiçoamento de Pessoal de Nível Superior – CAPES” with a scholarship from “Programa Nacional de Pós-doutorado – PNPD” granted to J.J.S. de Oliveira, post-doctoral fellow of DIBOT, and other to T.S. Cabral, post-doctoral fellow of DIGEN, INPA. For R. Vargas-Isla, a scholarship from “Ação Orçamentária – MCTIC/PT 19.571.2021.20VD.0001 (C, T & I para Pesquisa, Desenvolvimento, Conservação, Valoração e Sustentabilidade dos Recursos Naturais Brasileiros).